US and Canadian Device System Manufacturers now have access to cutting edge German Technology for Sensing and Input Systems. Alpharetta, GA – Hoffmann + Krippner, Inc. (http://www.hoffmann-krippner.com) is proud to announce that TES Frontdesign has engaged in a joint venture with Hoffmann + Krippner as their new majority owner. 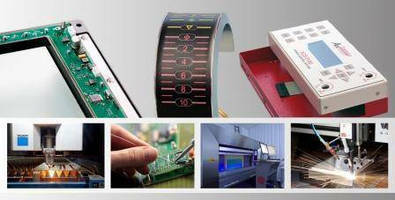 This enables HK to provide a wider array of sensing input products and technologies to US and Canada based electronics developers and manufacturers. In addition, this new partnership provides more capabilities, flexibility and production reliability. The objective of this new cooperation is to improve in terms of “best practice” and to offer an extended product portfolio. The Hoffmann + Krippner Group, with sales offices around the globe, specializes in input and output systems, as well as sensors. Headquartered in Germany, Hoffmann + Krippner has manufactured German-engineered, high quality products for over 40 years. As the North American member of the Group, Hoffmann + Krippner, Inc. delivers these engineering, design and manufacturing services to the US and Canadian market. As of 2014, Hoffmann + Krippner, Inc. has partnered with Altmann GmbH (manufacturer of high-precision potentiometers), Inelta Sensorsysteme GmbH & Co. KG (manufacturer of LVDT and load cells), and PIL Sensoren GmbH (manufacturer of ultrasonic sensors). SRS Tech PR - "Media Relations for the Connected World"